How do I earn CEU? for Most States. High-Quality CEU Courses since 1998. Approved Provider for Paramedic and EMT Continuing Education in California by the Coastal Valley EMS Agency. CE Provider #49-0057. Recognize and prevent PAHT (pediatric abusive head trauma), including shaken baby syndrome. Child abuse prevention CEU. How can you best respond to a patient facing a mental health crisis? Learn valuable skills for your job with this 5-contact-hour CEU course. Increase your knowledge and earn continuing education credits with courses on pregnancy, pediatric, and child abuse topics. 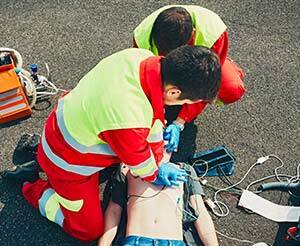 Be ready for your job with your EMS continuing education courses on patient assessment! The test questions are worded well enough to require comprehension of the material one has read and not simply filling in blanks of verbatim sentences from the content that are repeated as test questions. This was my first Wild Iris CE course, but it won't be my last. As an EMT or Paramedic, you may be amongst the first to recognize and report elder abuse and dependent adult abuse. Learn about elder/dependent adult abuse prevention in general with our Elder Abuse and Dependent Adult Abuse course. 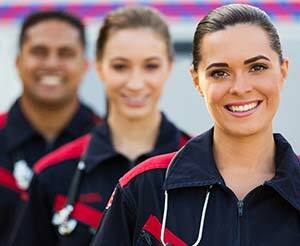 We understand the challenges that First Responders, EMTs and Paramedics face as you work to maintain the currency of your certification to practice. Though the EMS continuing education you receive from Wild Iris Medical Education is on par with that we provide to other healthcare professionals, we discount our prices for the EMS community in recognition that salaries in this field sometimes have not kept up with the cost of living. Wild Iris Medical Education is an approved provider for paramedic and EMT continuing education by the Coastal Valley EMS Agency. 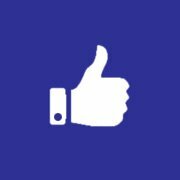 This approval is generally accepted by many EMS authorities across the United States, including NREMT. Please check with your agency to ensure our EMS continuing education courses will meet your requirements for certificate renewal. Access any of our continuing education courses online, read the material and pass the test. The test can be taken multiple times until the passing grade of at least 70% is achieved. Once you pass the test, just register and pay to receive your EMS CEU certificate of completion. And our EMT and Paramedic CEU courses are discounted for the EMS community, yet are of the same high quality that you expect and deserve. 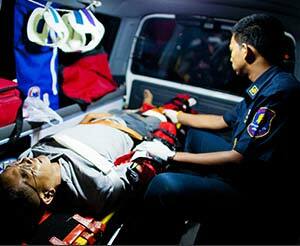 Thank you for being part of the Emergency Medical System!